Frank Mahony was born in Melbourne and studied in Sydney at the NSW Academy of Art. He is best known as a painter of Australian genre subjects, and an illustrator for 'The picturesque atlas of Australasia' and 'The Bulletin'. He also illustrated books by Henry Lawson and Banjo Patterson. 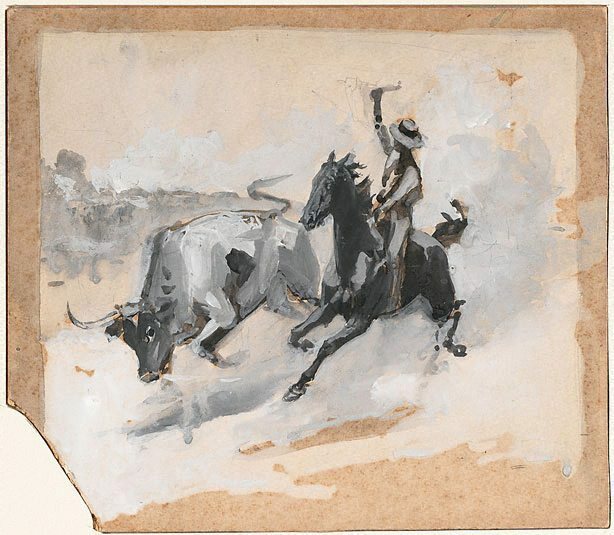 The painting 'Rounding up a straggler' is in the Gallery's collection, purchased in the year it was painted. An engraving of it appears in 'The picturesque atlas of Australasia' (1888) as 'Rounding up a straggler on a cattle-run', pg. 353. 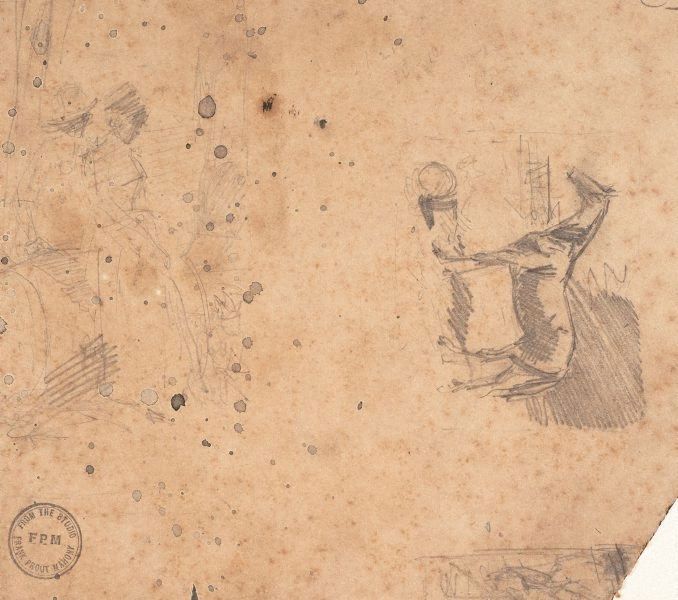 On the verso of the drawing are pencil studies of a horse and a couple.